ENTER CODE: ds530 AT CHECKOUT FOR EXTRA SAVINGS! 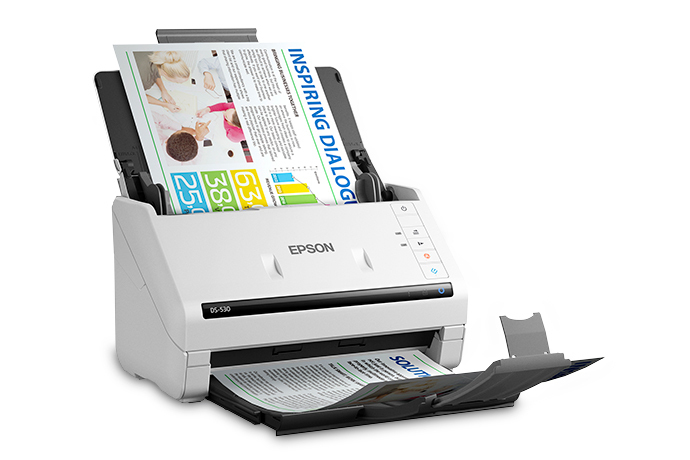 The quick, efficient DS-530 color duplex document scanner is the perfect choice for enterprise document control, offering world-class overall performance at a substantial value. Presenting speeds up to 35 ppm/70 ipm1, this effective, compact performer consists of TWAIN and ISIS® drivers for seamless integration with existing document control structures. Quickly scan stacks of pages to a pc, Mac® or online storage accounts like Dropbox™ or SharePoint®. Advanced paper feed technologies which include Dynamic Skew Correction and Ultrasonic Double Feed Detection provide added reliability, whilst a 50-page auto document feeder saves time. Extra functions consist of Double Feed Detection pass, slow velocity Mode and programmable jobs.